Fortress Of Freedom Board :: View topic - FOF Signs Retail Contract With Sunrise Records! FOF Signs Retail Contract With Sunrise Records! 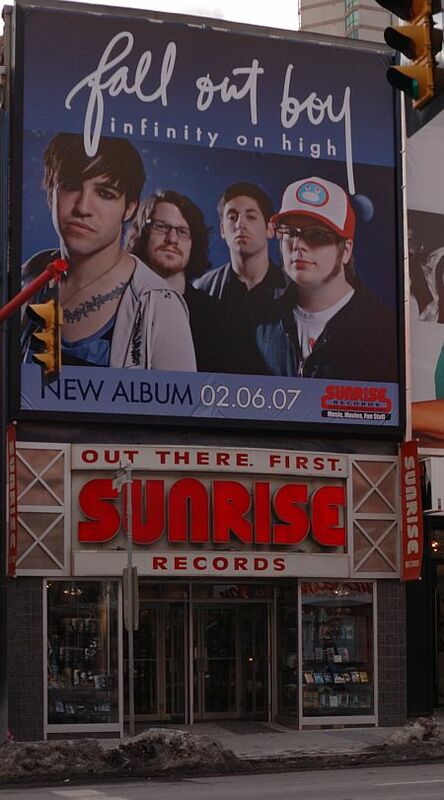 Posted: Thu Mar 08, 2007 1:20 am Post subject: FOF Signs Retail Contract With Sunrise Records! Directions to the mall: downtown Toronto, just north of the Eaton Centre at Yonge & Dundas on the west side. Fortress Of Freedom is proud to have it's CDs sold through this first rate establishment and hope that this is that start to a profitable, long lasting relationship with Sunrise Records!